There’s nothing like a good cup of coffee in the morning to make you all perky and energized for the day. One way to get a perfect cup of ﻿﻿coffee every single morning is by getting a fine coffee machine for your kitchen or office. When it comes to coffee makers, one name that has become well known in the industry is Keurig. Keurig offers several coffee makers that each come with its own set of features that are made to fit a specific set of needs and preferences. One of Keurig’s most celebrated coffee makers is the K55. The K55 is an interesting product that has made a name for itself in the market because of its reliable functions and ease of use. 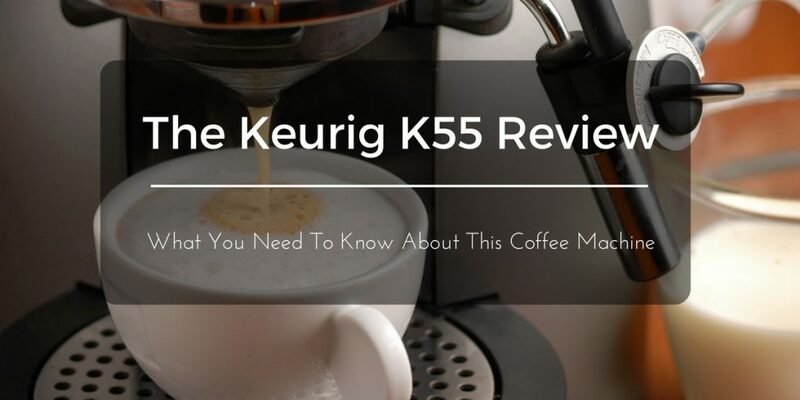 If you are currently planning on getting yourself a nice coffee machine, I encourage you to read on because this Keurig K55 review contains all the facts you need to know about why this coffee maker has become a rather popular choice in the market today. As with any other type of product, coffee machines or coffee makers often come with a different set of functions. Each type of coffee machine can offer you a set of features that you may or may not find useful. Try to choose a coffee maker that you will find easy to maneuver. Coffee makers you will find in the market today can range from simple i-can-have-a-cup-with-a-single-push-of-a-button models to complex models that will allow you to create extra personalized brews. The Keurig K55 has become a popular choice in the market today because it is one simple machine that will make you a perfect cup of coffee every single day. This coffee maker is a great choice for any coffee lover because, with a single push of a button, you will be able to drink a nice cup of coffee in mere minutes. It’s also very affordable and has garnered tons of positive customer reviews. The K55 is a coffee machine that’s very easy to use. 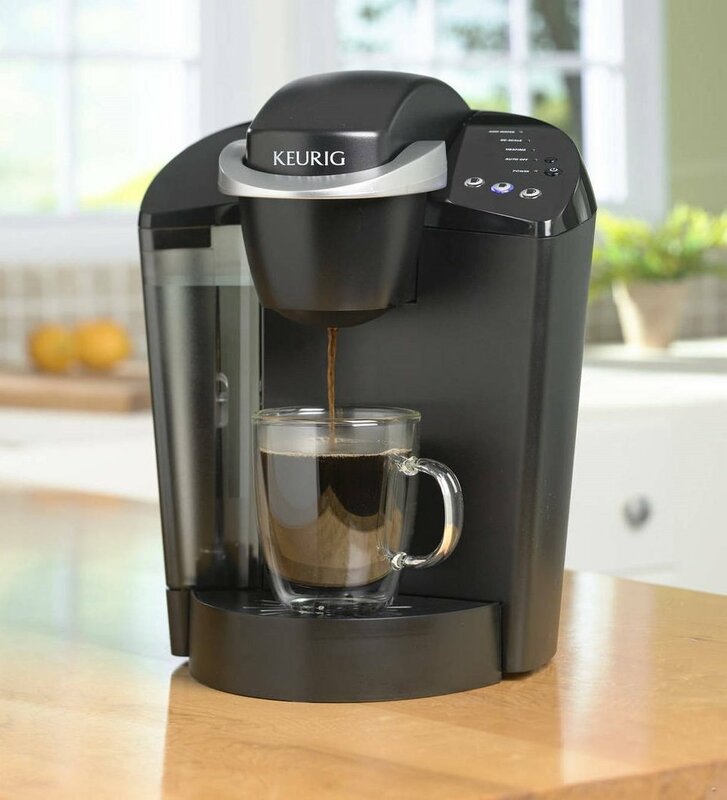 All you have to do is put in your preferred K-cup, select your brew size, push the button and start making coffee. What’s more is that it has a drip tray indicator that will keep you posted on what the machine is doing. The indicators in this machine will let you know about refills, descaling, and heating. 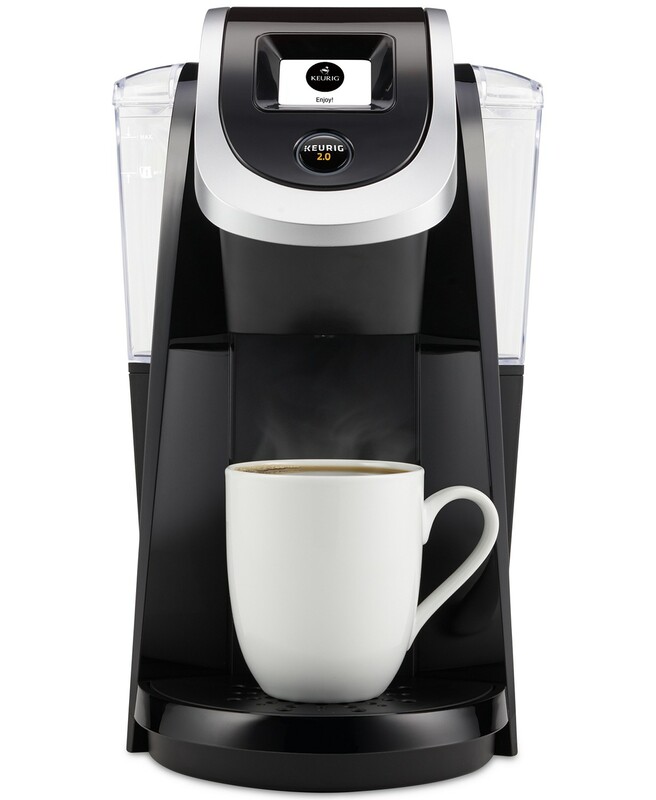 The Keurig K55 comes with a huge 48-ounce water reservoir that will allow you to create 8 cups of coffee per refill. The K55 has an energy efficient automatic off function that will let you conserve energy because it automatically turns off your machine when it is idle. The K55 is compatible with reusable K-cups, a feature that a lot of coffee makers lack. 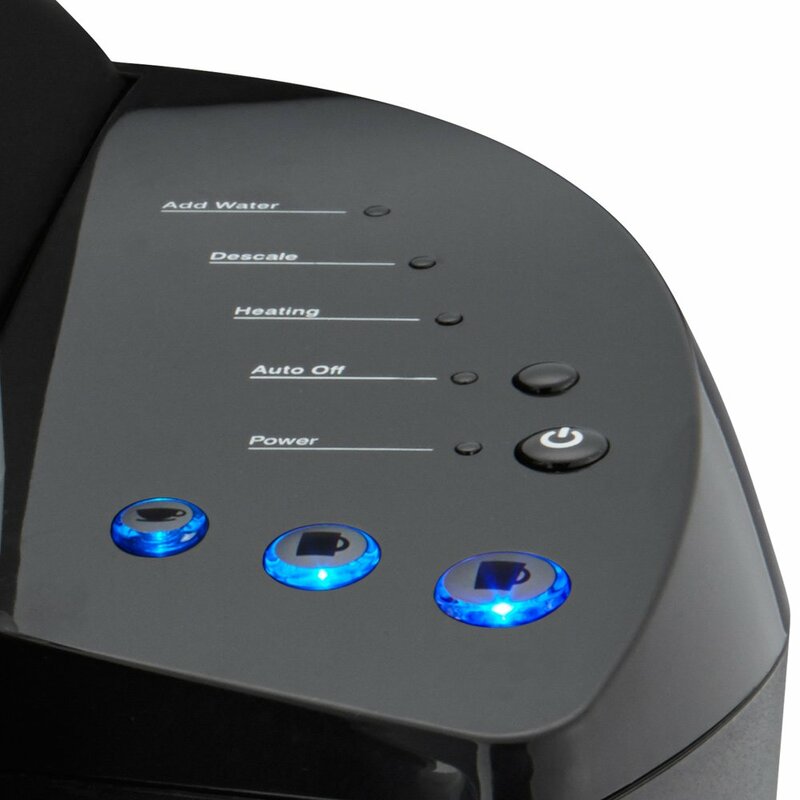 The Keurig k55 won’t become a popular product if it doesn’t perform well. The K55 is such an awesome product, a staggering 82% of its customer reviews on Amazon has given it a high 4 out of 5 star rating. I have found that most people who loved the K55 celebrated its simplicity and ease of use. There’s also the fact that this machine is completely compatible with reusable K-cups. Another function that users liked best is the preheat function that allowed them to always get a hot cup of coffee in mere seconds. Users also loved how this machine is completely sturdy and affordable for its set of reliable features. Perhaps the feature that most of its users loved is its high capacity removable water reservoir. A lot of reviewers stated how they enjoyed the freedom of refilling, which is very appreciated by those living with several coffee lovers. Lastly, the K55’s energy efficient shut-off feature also had an impact on it users. 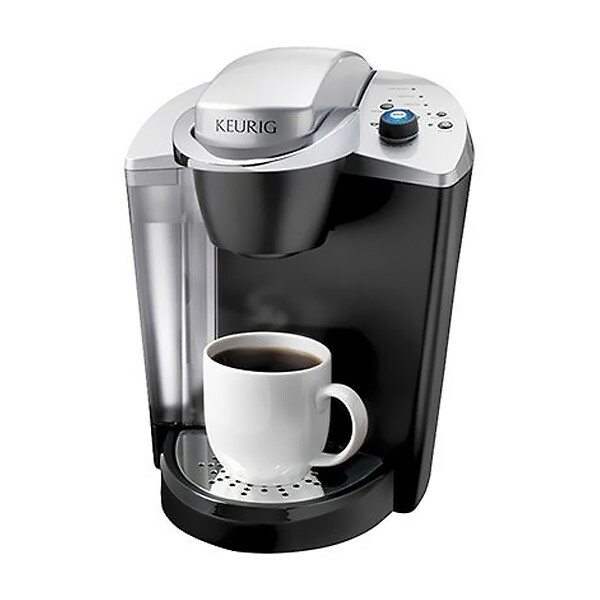 The Keurig K55 is a great coffee maker that you can add to your home kitchen or to your office. It is a highly affordable product that performs at par with other more expensive models. 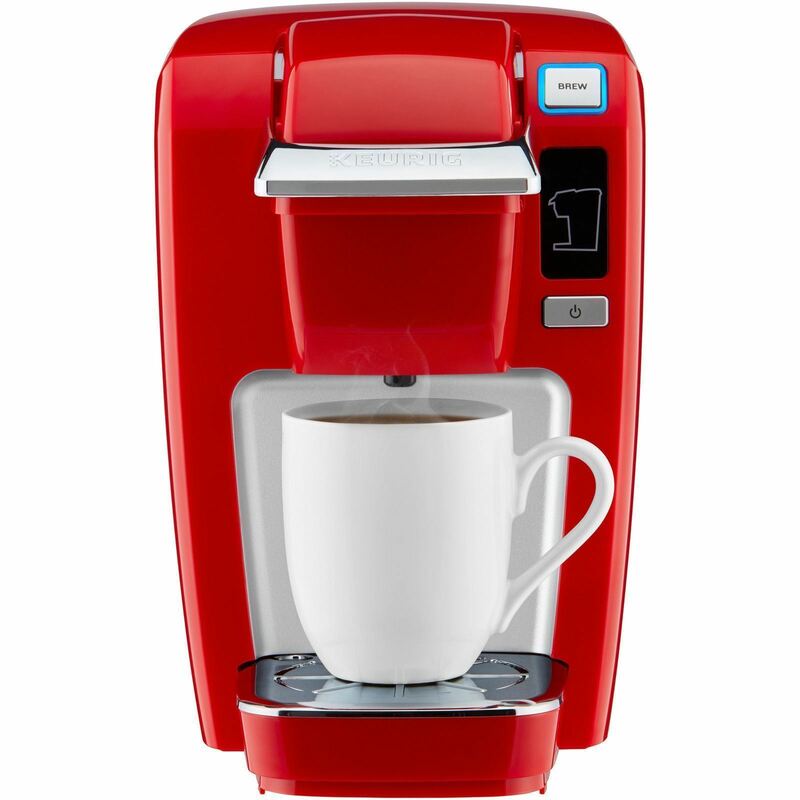 If you like products that don’t go with unneeded bells and whistles, I’m sure you will surely appreciate the Keurig K55. With its impressive set of reliable features such as its reusable K-cup compatibility, automatic shut-off, preheat function, and large capacity water reservoir, the K55 is sure to impress all coffee lovers alike. This specific Keurig coffee maker is very different from the rest despite being equipped with the same piece of tech. 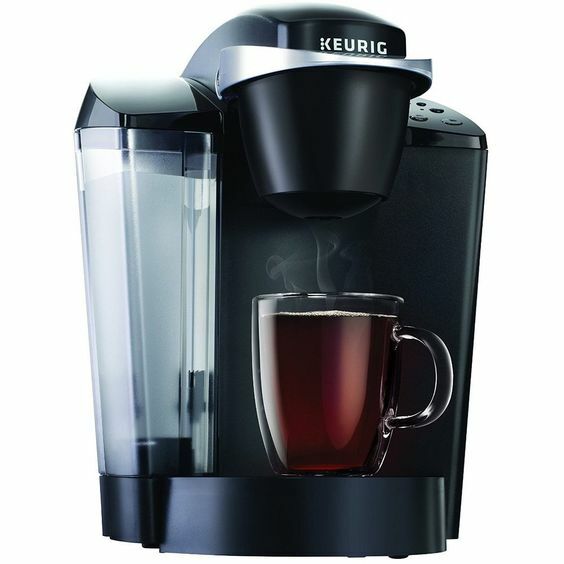 Just like other coffee makers from other Keurig product series, this coffee maker is ideal for both home and office use. What I like best about this coffee maker is it’s very easy to set up that makes creating a cup of coffee a couple of seconds away. It also comes with a large capacity 40-ounce water reservoir that will easily allow you to brew several cups of coffee with just one refill.